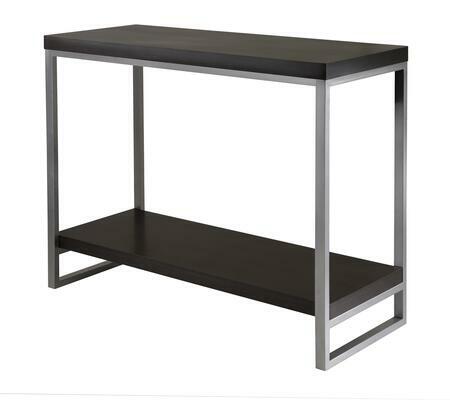 Jared line of contemporary occasional tables is made with pewter color enamel finished metal tube frames and black wood tops. 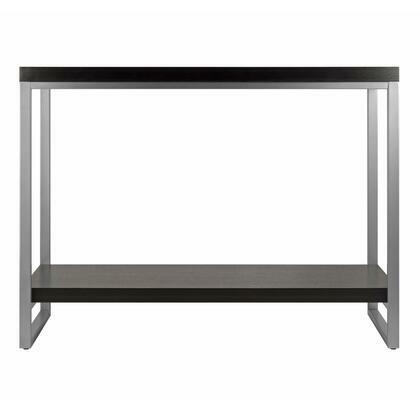 The Console/Hall Table has a wooden bottom shelf for display storage. 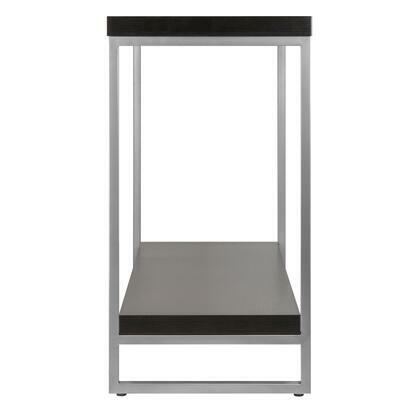 The top shelf at 30"high is great for floral, photo, and art display. 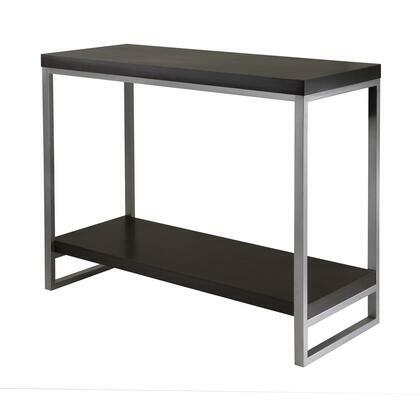 Overall dimensions: 40"L x 15.98"D x 30"H. Easily assembled. 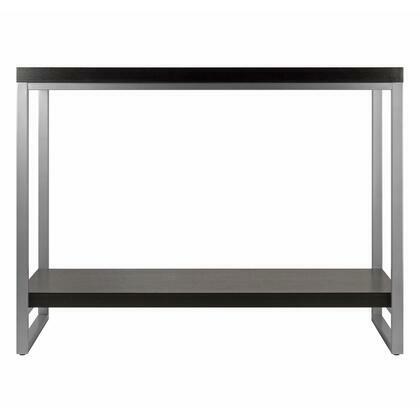 Overall Console / Hall Table dimensions: 40"L x 15.98"D x 30"H.
Lower Shelf area is 37.48"W x 14.17" with 21.54" clearance. 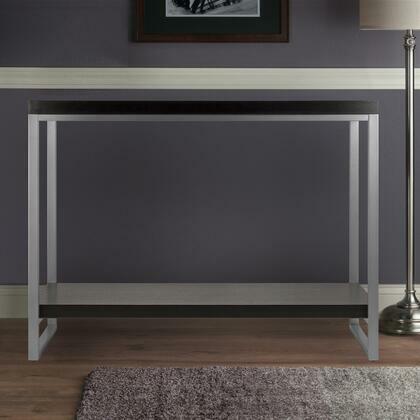 Made with pewter color enamel finished metal tube frames. Melamine/hallow tops. Assembly Required.